Gerard Leo is photographed in his apartment on Tuesday, Dec. 29, 2015, in East Ridge, Tenn. He was displaced when the Superior Creek Lodge was condemned. Latest list of Neediest Cases donors. The Times Free Press Neediest Cases fund helped a displaced Superior Creek Lodge resident pay utilities after he found housing. 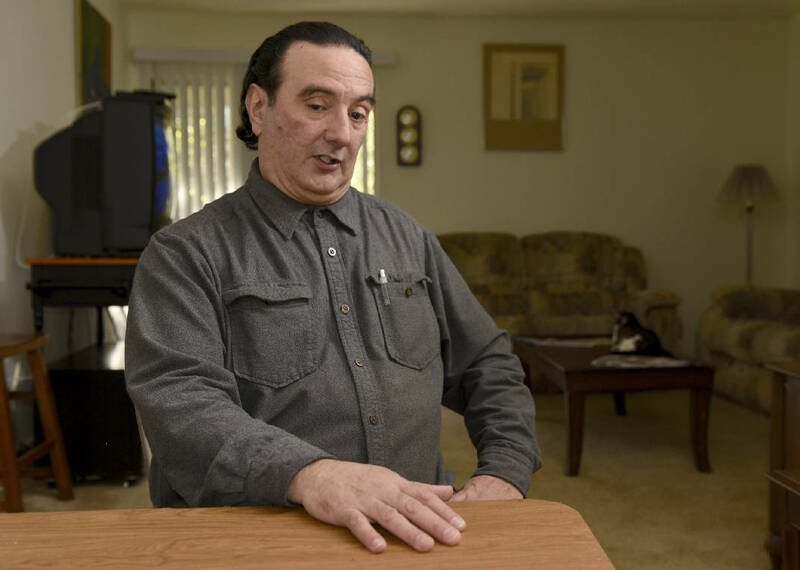 Gerard Leo moved from hotel to hotel three times in four weeks after East Ridge officials condemned Superior Creek earlier this year, causing some 1,500 residents to be homeless. "Quite frankly, I don't know what I would have done without the help that I had gotten," Leo said. Housing the displaced people involved a communitywide effort by churches and nonprofit agencies, he said. The Neediest Cases fund gave Leo $500 for utility expenses. The former Boston resident is one of hundreds of people helped through Neediest Cases this year. The fund, established with financial contributions from Times Free Press readers, generated some $47,000 in 2014 that helped more than 300 families. This year the fund paid the electric bill for a retired minister who was paralyzed and couldn't work. It paid travel expenses for a teenage girl who needed to get to Nashville for cancer treatments, and it paid rent for a woman battling breast cancer. Readers may contribute to the fund through the end-of-the-year. Dot Saunders, a case worker at Family Promise, referred Leo to Neediest Cases for utility fees after he burned through all his money on hotels and storage. Neediest Cases provides funding with no government restrictions on how it can be used. So when other agencies can't help a client because the client's need doesn't fit guidelines, Neediest Cases may be a solution. "They really do fill in that gap. That's one of the major things," Saunders said. She said she's referred people to the fund when they had old utility bills that prevented them from getting electricity at a new residence. She also used the fund to help a man who could get a job but couldn't pay $50 for a class needed as a prerequisite. Leo said he wants to contribute and volunteer at the agencies that helped him to show his gratitude. "When this thing started for me, it was completely out of the blue. I mean you can't get more out of the blue than waking up and finding two emergency personnel at the foot of your bed telling you that you have 15 minutes to gather your stuff." Metropolitan Ministries, Trinity Lutheran Church and East Ridge United Methodist Church were among agencies on the front line scrambling to get people into housing and providing services, Leo said.